The Southwestern Athletic Conference Event Trip Giveaway (“Contest”) will begin on Monday, February 20, 2012 at 6:00 a.m. CST and end on Thursday, March 1, 2012 at 11:59 p.m. CST (“Contest Period”). One (1) grand prize winner will be awarded a trip for two (2) to the South Western Athletic Conference event taking place March 9, 2012 and March 10, 2012 in Dallas, Texas. 1) Beginning Monday, February 20, 2012 at 6:00 a.m. CST and ending Thursday, March 1, 2012 at 11:59 p.m. CST, listeners will be encouraged to text the word “SWAC” to the number (short code) 23088. Contest participants will receive the following bounce back message: “Thx 4 your entry, we will select the winner on 3/2/12.– 97.9 The Box”. 2) Your mobile device must be capable of sending and receiving text messages to participate in this Contest. Standard text message and/or data rates may apply. Contact your wireless provider for pricing plan details. 3) All text message entries must be received by 11:59pm.ET on Thursday, March 1, 2012 or they will be void. 4) Winner will be selected at random from among all eligible entries received via text message. 5) In the event of a dispute regarding the identity of a participant’s entry, the entry will be deemed to have been made by the authorized holder of the mobile account at the time the entry was made. 1) The Contest is open to listeners of KBXX-FM who are twenty-one (21) years of age or older, and are legal residents of the United States residing within the Houston, TX metropolitan listening area. Employees of KBXX-FM, Radio One of Texas II, LLC (also “Radio One”), its subsidiaries, affiliates, general sponsors, advertisers, competitors, promotional partners, other radio stations in the Houston, TX metropolitan area, and members of their immediate families (defined as spouse, child, sibling, parent, or grandparent), and members of the households (whether related or not) of any of the above are NOT eligible to participate or win in this Contest. Persons who have won a prize in another contest or promotion of any kind from KBXX-FM within the thirty (30) day period immediately preceding the start date of this Contest are not eligible to participate. Only one person per family or household (whether related or not) may win in any promotion from KBXX-FM during any thirty (30) day period. Participants agree to abide with any applicable federal, state, local laws and regulations. a) One (1) prize consisting of: (a) roundtrip coach air transportation for winner and guest between Houston, Texas and a Dallas, Texas area airport (Dallas/Fort Worth International Airport or Dallas Love Field Airport, air travel must originate from a Houston area airport; winner and guest must be twenty-one (21) years of age or older, and legal residents of the United States. Winner and guest must travel on the same flight itinerary), (b) two (2) nights double occupancy hotel accommodations for March 9, 2012 and March 10, 2012; (c) Two (2) tickets for the SWAC Session 6 and Session 7 games taking place on March 9, 2012; and (d) Two (2) tickets for the SWAC Session 8 game taking place on March 10, 2012 at the Special Events Center in Garland, Texas. Taxes, gratuities, meals, ground transportation, souvenirs, incidentals, and any other items not specified as part of the prize package are the responsibility of the winner and his or her guests. Winner and guest are responsible for any charges incurred for any changes to airline tickets. Radio One of Texas II, LLC and participating sponsor(s) shall have the right to substitute a comparable hotel. b) To the extent that prize elements are provided by third-party providers, winner agrees to look solely to applicable prize providers with respect to any claims, losses, or disputes in connection therewith. All Contest winners must sign and date official station release and waiver forms as requested. Failure to do so will result in the winner’s forfeiture of the prize. Travel guest will be required to sign and submit all requested release forms along with the grand prize winner. Prizes will be awarded only upon winner verification and final approval by the station. Each winner or selected entrant will be notified by email, mail and/or phone within seven (7) days after being selected (e.g., date of drawing). Each winner or selected entrant will then have seven (7) days to respond with their information. If the winner or selected entrant is unable to be contacted within seven (7) days after being selected (e.g. drawing date), is ineligible, fails to claim a prize or fails to return completed and executed release forms and affidavits, if applicable and as required by the station, or if the prize notification or prize is returned undeliverable, that prize will be forfeited and if time permits, at the discretion of the Contest sponsor / and or Contest administrator, an alternate entrant will be selected as the winner by random drawing from among the remaining entries. Winners will be instructed to come to the offices of the Station located at 24 Greenway Plaza, Suite 900, Houston, Texas 77046. Winners must provide valid identification (i.e. via driver’s license, passport or other government-issued photo I.D.) to claim their prize. During the Contest Period, eligible listeners will be encouraged to participate in the Contest by texting the word “SWAC” to the number (short code) 23088. Contest participants will receive the following bounce back message: “Thx 4 your entry, we will select the winner on 3/2/12. 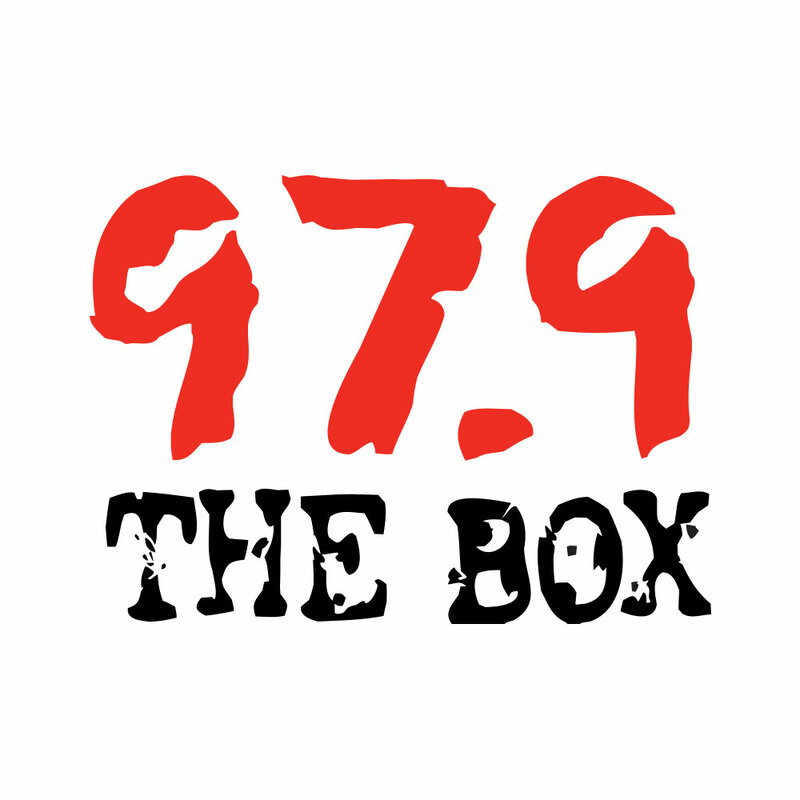 – 97.9 The Box”. All text entries must be received by 11:59pm.ET on Thursday, March 1, 2012 or they will be void. The grand prize drawing will take place on Friday, March 2, 2012. KBXX-FM promotions staff will select one (1) potential grand prize winner at random from among all eligible entries received through text messaging during the Contest Period. Odds of winning depend on the number of eligible entries received during the Contest Period. The potential grand prize winner will be notified by phone. If winner is unable to be contacted with-in 48 hours of initial contact or if potential winner is not in compliance with these rules, prize will be forfeited and, at station’s discretion, an alternate winner will be selected if time permits. Winners will be instructed to come to the offices of KBXX-FM located at 24 Greenway Plaza, Suite 900, Houston, Texas 77046 to claim their prize. 6. All decisions made by KBXX-FM and Radio One management regarding any aspect of this Contest are final. Odds of winning depend upon the number of eligible entrants participating during the Contest Period. By participating in the Contest, the winner or winners agree to have their name, voice, or likeness used in any advertising or broadcasting material relating to this Contest, in any media now known or hereafter devised for advertising or promotional purposes without additional compensation, and must sign a publicity release prior to acceptance of the prize. By entering this Contest, each participant agrees to comply with these Official Contest rules and the decisions of KBXX-FM and Radio One of Texas II, LLC and / or Contest sponsor which shall be final and binding in all aspects relating to the Contest. KBXX-FM, Radio One of Texas II, LLC retain the right to disqualify any entrant if all Contest rules are not followed. All Contest winners will be required to sign a liability release prior to acceptance of any prize. Pursuant to the liability release, the winner or winners will agree to hold KBXX-FM, Radio One of Texas II, LLC, sponsor, any other Contest parties and each of their respective affiliates, subsidiaries, agencies, officers, shareholders, directors, employees, agents and representatives of each of the foregoing, harmless against any and all claims or liability, directly or indirectly related to or arising from or in connection with Contest participation or the acceptance, possession or use / misuse of any awarded prize or any portion thereof, or participation in prize-related activities, including but not limited to any related travel. By accepting the prize, the winner acknowledges that KBXX-FM, Radio One of Texas II, LLC have neither made, nor are in any manner responsible or liable for, any warranty, representation or guarantee, express or implied, in fact or in law, relative to the prize or to any portion thereof, including but not limited to its quality, mechanical condition or fitness for a particular purpose. Dates and times of concerts and trips promoted by Contest sponsors are subject to change and those changes are deemed to be beyond the control of KJMQ-FM, Radio One of Texas II, LLC. Changes of venue, cancellation of engagements by performing artists, and/or their management may be permanent in nature. KJMQ-FM, Radio One of Texas II, LLC are not obligated to make any effort to find an alternative prize under these circumstances. KBXX-FM, Radio One of Texas II, LLC, participating sponsors and their respective parent companies, subsidiaries, affiliates or their representatives, agents and employees are not responsible for the inability of any entrant to complete or continue an internet registration due to equipment malfunction, busy lines, inadvertent disconnections, unavailable network, server, Internet Service Provider (ISP) or other connections, communication failures or human error that may occur in the transmission, receipt or processing of entries, including any injury or damage to any computer arising from or relating to participation in this Promotion. Any use of robotic, macro, automatic, programmed or like entry methods will void all such entries, and may subject that entrant to disqualification. In addition, KBXX-FM, Radio One of Texas II, LLC, participating sponsors and their respective parent companies, subsidiaries, affiliates or their representatives, agents and employees are not responsible for late, lost, misdirected, mutilated, illegible or incomplete Contest entries. No mechanically reproduced or automated entries permitted. Entry materials/data that have been tampered with or altered are void. Once submitted, entries become the property of KBXX-FM and Radio One of Texas II, LLC and will not be returned. If for any reason, the Contest is not capable of running as planned, including without limitation, any suspected evidence of tampering or technological corruption or if any portion of the Contest is compromised by virus, bugs, worms or unauthorized human intervention, fraud, acts of God, strikes, terrorists acts, criminal acts of third parties, an insufficient number of qualified Contest entries, or any other causes beyond KBXX-FM and Radio One of Texas II, LLC’s control which, in KBXX-FM and Radio One of Texas II, LLC’s sole opinion, corrupts, threatens or impairs the administration, security, fairness, integrity, or proper conduct of the Contest, KBXX-FM and Radio One of Texas II, LLC reserve the right to cancel, terminate, modify or suspend the Contest at their sole discretion. Any attempt by an entrant to deliberately undermine the legitimate operation of the Contest may be in violation of criminal and civil laws and should such an attempt be made, KBXX-FM and Radio One of Texas II, LLC reserve the right to seek remedies and damages (including attorney’s fees) from any such entrant to the fullest extent of the law, including criminal prosecution. Copies of Contest rules are available upon request during regular business hours, Monday – Friday 9:00 a.m. to 5:00 p.m., in the offices of the KBXX-FM located at 24 Greenway Plaza, Suite 900, Houston, Texas 77046. Copies of Contest rules may also be made available during on-site / in-person remote events.